Just imagine: Someone knocks on your door at nine in the evening and tells you that you have to leave your home now. NOW means within the next two hours. You are allowed to collect kids and pets, pack a few personal items each. Chalcots Estate, London, June 24. ©PA/MailOnline. In the course of the night you will be taken to some evacuation centre you know not where, with dozens of inflatable beds on the floor. You might be let back at some time in the future to collect more of your belongings. You may be shunted off to a hotel. You may be out of your house for the next four weeks? two months? four months? Who knows? 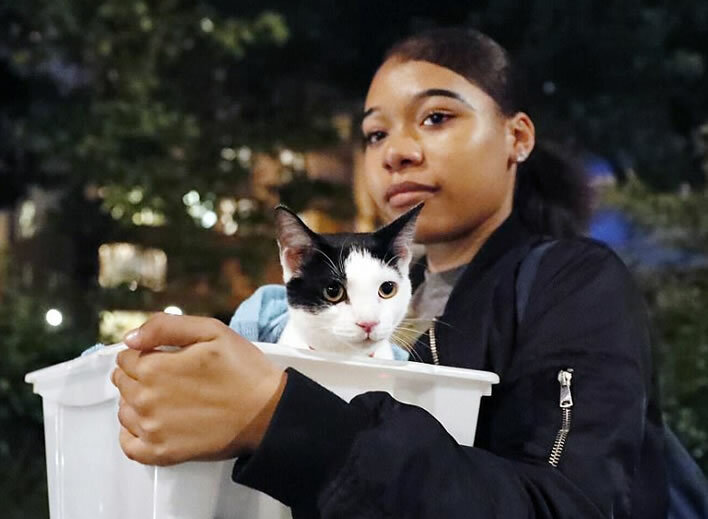 This happened on 24 June to 800 households on the Chalcots Estate in Camden, London. One woman sat around for 16 hours with her dog until a hotel could be found that accepted dogs. Incompetent, back-covering hysteria dragged people out of their homes without first having found anywhere for them to go apart from inflatable mattresses on the floor of a sports centre. The risk was so grave, it seems, that the occupants could not be left in place for the few days that would be required to find somewhere for them to go. Reliable facts are not to be had. It appears that the Fire Safety Officers have now done what they should have done years ago and inspected the block properly. The Grenfell fire concentrated minds wonderfully: rumour has it that the fire doors are ineffective, gas pipes just disappear into holes in the wall and so on, and that the residential fire certification had to be withdrawn. It is, apparently, not just a matter of inflammable cladding. Who knows? The local council seems to be proud of the fact that it is protecting people from the risk of an inferno, a risk that is to a great extent due to the council's own lethal incompetence. Some stout hearts announce that they are staying put, but once they leave the block to go to work they will be lucky if they are let back in. The state of hazard causing the hysteria seems to be so bad that the simple, cheap and non-disruptive solution of firewatch patrols and observation stations until the problem is fixed is untenable. This fact tells us that, in the opinion of the safety experts who have failed so badly so far, if a fire started in one of these blocks there would be no chance at all of getting it under control, with or without inflammable cladding. For the administrators and politicians the fuss about the evacuation is manageable so far. The underclass have always been easy to boss about: they'll adapt to life in temporary accommodation and be silenced with cash, compensation and meal tickets. The fact that there is still a National Health Service in Britain is testament to the helpless resiliance of the populace. At the end of all this only one thing will help: some retributive justice. The people involved in this entire Grenfell shambles – quite a lot of them, in fact, politicians and functionaries – should be sent to prison for non-trivial sentences. An even larger number should be banned for life from taking responsible posts. It won't bring back the dead or the displaced, but, by God, it will cheer the rest of us up. There you are, you see. You just have to wait a few days and the facts start to emerge. Now we learn why Camden Council was in such a rush to get people out. 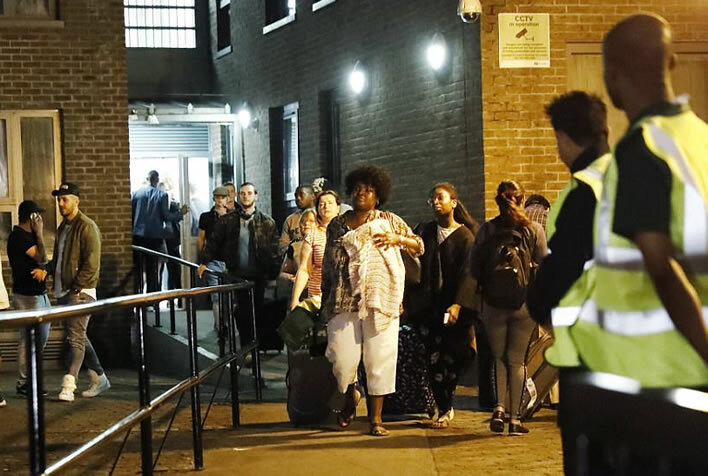 Sajid Javid, the Communities and Local Government Secretary, told the Commons that there were 'problems' with gas-pipe insulation, that stairways were not accessible, that there were breaches of internal walls and a thousand fire doors were missing from the five blocks in Camden. Some people knew; some people didn't ask; some people didn't want to know. Vertrauen ist gut, Kontrolle ist besser, 'Trust is good, checking is better' the Germans like to say. Parts of the UK are third-world countries with third-world government. Interesting and frank questions from John Redwood, a senior MP. Some politicians define their roles by the media. This became an acute preoccupation with New Labour, and has continued with many in government since. Some politicians have the strange idea that they can manage the media. They get upset when their agenda is displaced by events or someone else’s agenda. Too much concentration on the media can divert their attention from the day job. Often the reason they are doing badly in the media is not media mismanagement, but mismanagement of a part of government which then attracts justified public anger. They need to spend more time trying to fix the real problem, and less time trying to fix the media. Advisors advise, and politicians decide. The media reports decisions and reactions to them. That is the constitutional theory. Sometimes it works out like that. There are frequently other models. Sometimes officials decide and politicians do not realise what is going on. Sometimes officials recommend strongly and politicians acquiesce. Sometimes politicians do query an approach but are told it is the only technical, legal, practical or safe way to proceed. It then takes a strong minded and well informed politician to insist on a different way of proceeding. Sometimes the media have their own agendas and want to make the politicians follow them. There are government Ministers who take a Manifesto or political agenda and drive it through, using officials to improve and implement. There are other Ministers who are but actors and actresses voicing the lines of departmental officials, both within and outside government. We see in the questions about who is to blame for the Tower inferno these same issues of responsibility, knowledge and advice in local government. Is an elected Councillor allowed to rely on the technical expertise of his Council’s Building Regulation Department and the Fire Department? Does he or she ever need to challenge their technical advice and decisions? If he is told of what they are doing does that make him to blame if it is wrong? Or is he to blame even if he was not informed and it was handled as a delegated matter? Should a Councillor approving expenditures to improve the thermal insulation and look of a building have to do enough research to satisfy himself of the safety, or can he rely on the professionals designing and procuring the building to do that? The Councillor wants to take the credit for the improvement, so should he therefore take the blame if it goes wrong? These are difficult issues. I would be interested in your views. The danger is we make the role of the Councillor too difficult so no-one good will want to take it on. The other danger is we expect too little, and the Councillors’ collective power to challenge and to improve the work of professionals and officers lapses or fails to do its job. In the worst cases in the public sector no-one is to blame. They all become good at laying off the risk, because they can claim that no one person ever took the decision. It just happened.